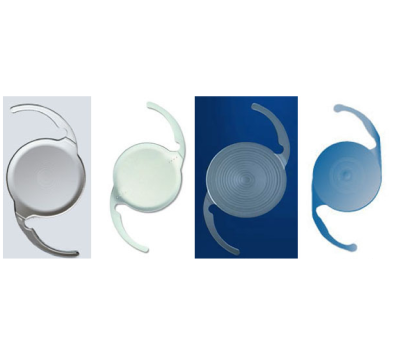 Multifocal implants are the most advanced IOL's on the market today, providing vision correction for combination or typical prebyopia Crystalens® correct prebyopia, so they provide more range of vision from distance to near, reducing dependency on reading glasses postoperatively. Cataract surgery has evolved tremendously over the last 20 years. Early surgeries involved removing the cloudy lens (cataract) as a whole and using multiple stitches to close the eye. Today cataracts are removed by phacoemulsification (ultrasound energy that breaks up the cataract into small pieces) through a tiny self-sealing incision. A foldable implant is inserted in the eye rolled up like a taco and gently unfolds into position. The small incisions and foldable implants used have allowed many more choices for optimal vision correction after cataract surgery. At Kozlow Eye, we recognize that each patient has unique visual needs. 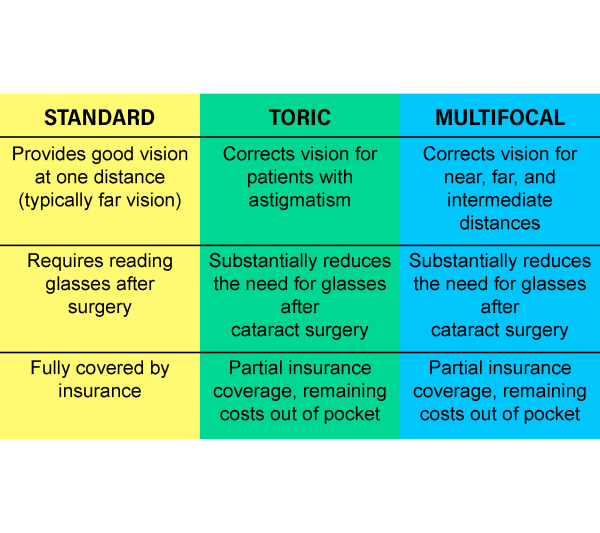 Our goal is to discuss your expectations in detail and create a plan for your cataract surgery that will provide you with the best visual result tailored specifically to your lifestyle.